Since it’s inception, New Horizons has employed individuals with disabilities. We contract with private industry to perform a wide variety of industrial tasks. Our workforce of over 800 people is strategically located at our four locations throughout southeastern Michigan to take advantage of the extensive automotive supply market, the retail supply market, as well as increasing demand for competent workers. The goal of New Horizons is to train our workers on challenging contract work to prepare them for placement in permanent jobs in private industry. New Horizons has an outstanding history of quality performance. Our satisfied customers include the U. S. military, as well as many Tier 1 and Tier 2 suppliers. Our plants are located in Madison Heights, Novi, Auburn Hills, and Davisburg, and have the ability, per customer’s request, to set up contracts to the QS or ISO quality standards. Individual bench stations or production lines are set up depending on the customer requirements. New Horizons has the capability of performing complex electrical and mechanical assemblies. Our workers follow rigid quality standards while meeting demanding deadlines. Shrink packaging and vac-wrap packaging machines can handle products of varied shapes and sizes, from small service parts to bulky hardware. Trim sealers and ventrods are used extensively for a variety of bagging and boxing contracts. Electronic scales are available to weigh count large quantity bagging jobs. New Horizons can produce a wide range of sewn products as well as specialty items for the automotive industry and the military. Our facilities are air-conditioned and equipped with state-of-the-art equipment. The floors have been prepared with an epoxy finish to reduce dust and maintain a clean environment. With four different locations, New Horizons has the ability to turn contracted work around quickly and efficiently. 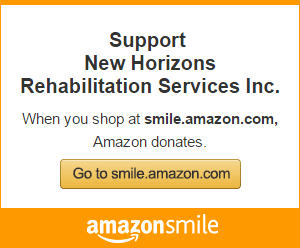 Or please contact the Sales Department in Auburn Hills at phone: (248) 340-0559, fax: (248) 276-8750, or email: dstoker@newhorizonsrehab.org.